Guys, I’m painting. And it’s only going to get better! Look below! 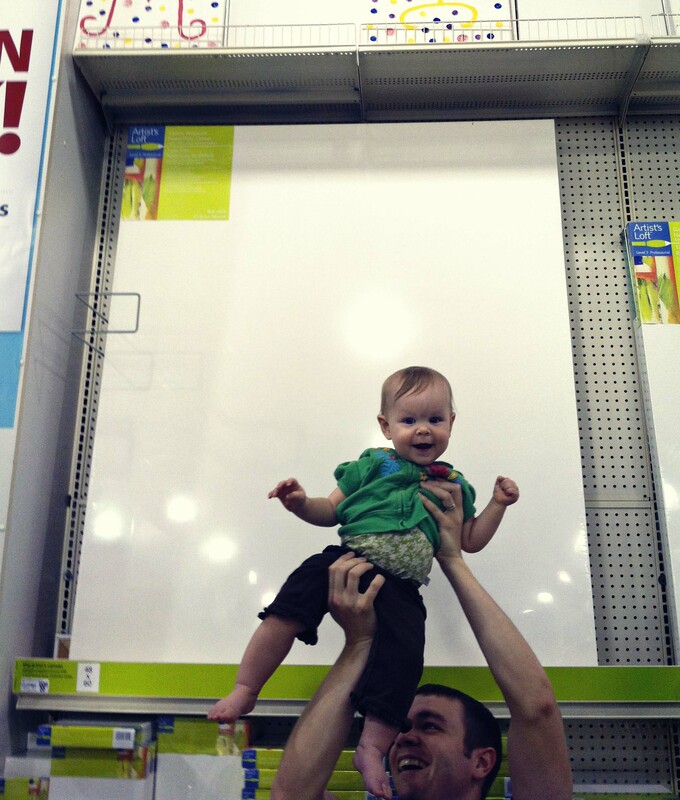 Just look at that huge canvas I’ve been commissioned to paint (behind the darling baby who was held up for a size comparison and of course, steals the show with her cuteness)! It’s huge, beautiful, and oh so white. It’s just begging to be covered in lush oil paint. …so now you know what I’ll be doing this weekend! I can’t wait to show it to you on early next week (hopefully)! The painting in the slideshow is tiny. it’s 4×4 inches (which I love) and took me far, far to long to paint. I mean, really, Emily… it’s 8 inches. I just kept repainting and repainting so much! Crazy. But, in the end, I actually love the super thick, impasto paint, and all the texture that evolved after all those layers of paint! The colors were exciting to me. I love the teal and pink and dark shades and how they all play off each other. I’ll post the “photo-shoot” of this baby soon! I like the baby. I also like the painting. 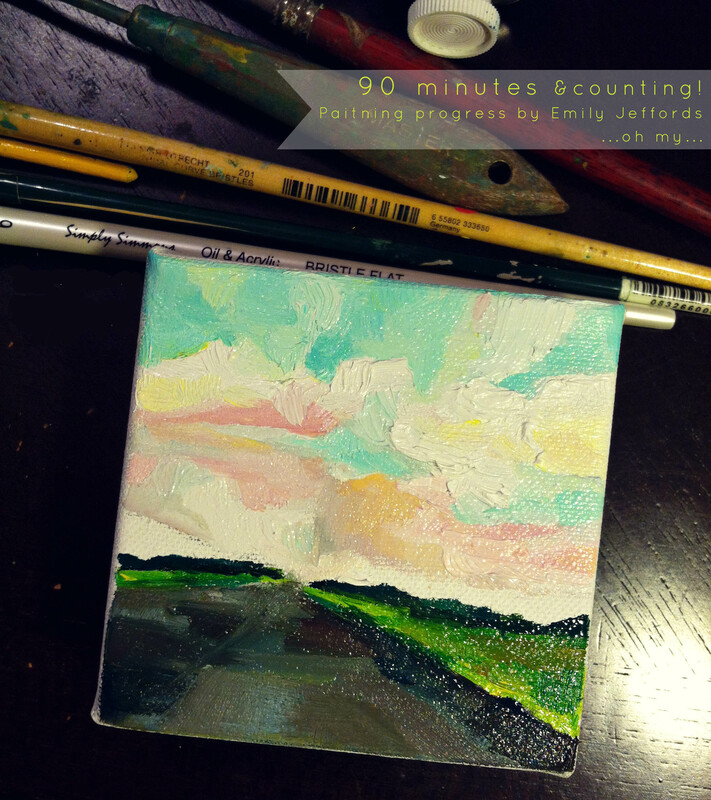 Your mini paintings are great ideas. Wouldn’t that be super cute the just paint her, in this pose and all, on the canvas! Ahh! Talk about a nursery art! Looks like your going to be VERY busy!! What are you painting! I can’t wait to see the finished product!! However, sweet baby Madelyn steals the show with the canvas!!
. therefore,its only natural to paint on a larger scale. all the best on your new project!happy days!! oh yes…super gorgeous baby!! !another beautiful creation!! !